Do you like to dance? Of course you do. The Motet will make you dance. The Motet brings a blend of funk, soul, afro-beat, disco, and electronic music to the Huckleberry Jam stage. With the recent release of their 7th album, The Motet has once again showcased their commitment to push- ing the sonic envelope while remaining dedicated to the musical traditions that have defined their sound. The band’s decision to call the album The Motet is a reflection that the group has finally fully manifested. The album is a truly collaborative effort, with each member contributing equally to the writing process. In addition, the band spent hundreds of hours in the studio meticulously crafting vintage tones that hearken back to the glory days of funk music. The result is an organic collection of strong interlocking parts and melodies that could only be The Motet. Their high energy performances blend original music with covers of the classics — everything that you need for a dance party in the middle of the mountains. Check out their performance of “Like We Own It” at Red Rocks last summer. Like what you hear? Check out the band’s full bio and make sure you grab your tickets! 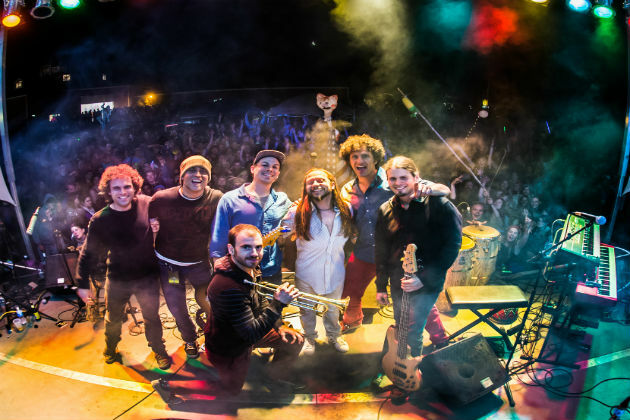 Don’t miss The Motet Friday afternoon at the Huckleberry Jam!